It might help to remember who's currently riding and why more people aren't riding, so this page tries to collect official statistics and relevant surveys, with an emphasis on our area. In West Norfolk, 21% of adults cycled monthly or more often in the year to October 2013 according to the national Active People Survey, so we're well above the national average of 15%. Neighbouring districts: Fenland 21%, South Holland 18%, North Norfolk 18%, Breckland 16% and Forest Heath 19%. All of these have held fairly steady in recent years (Source: APS tables CW0111/CW0111a). Across West Norfolk as a whole, about 5% of workers commute by bike and it peaks at 12% from the Gaywood Chase and Airfield wards. It's 10% in King's Lynn (source: 2011 census). You can use DataShine Census to explore cycle to work in our whole area, just in King's Lynn or explore commuting flows in more detail. Nomisweb or Norfolk Insight (browseable map interface) can be used to explore 2011 census tables such as availability of cars by council division or ward. Nationally, about 3% of workers commute by bike, with professional, elementary and process/plant/machine occupations more likely to cycle (source: census). 10% of people cycle recreationally at least once per month, and 7% cycle for utility purposes, with utility riders most likely to do less than 30 minutes riding in a day and recreational riders most likely to spend 1 to 2 hours (source: APS). 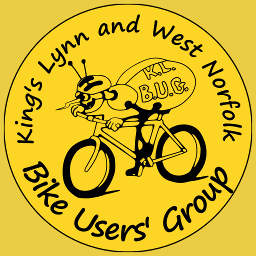 As of June 2015, we measured about 30km of main cycleways in the King's Lynn unparished area (King's Lynn, South Lynn, West Lynn), plus 2.5km in South Wootton and 6.3km alongside the A10. Of course, it's not all perfect, but the start of a cycleway network is there now. For comparison, there's 22km of A roads in King's Lynn and another 2.2km in South Wootton, yet they cost us millions of pounds every year. In 2015/16's county council transport budget of about £94m, cycling appears to get only £1.38m shared with walking across all of Norfolk. Much of the cycling bit will be Norwich's Pink Pedalways programme (which is £5.5m over the 3 years to September 2015 = £917,000ish for April-September 2015). 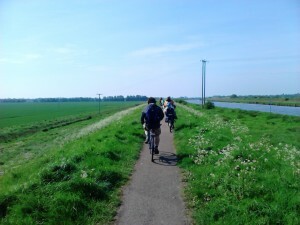 Shouldn't King's Lynn's 30+km of cycleways get a fairer share of the county highways budget? And what about Downham Market, Hunstanton, ...? Nationally, 39% of people answering a 2010 survey by Mintel said the roads were too dangerous, with women over 45 being most likely to be put off by that. 24% said they would ride more if there were more bike lanes and 14% would if there were cycle facilities at work. There is a map of car ownership/access produced by merging the National Travel Survey and Census Wards. The King's Lynn town centre ward (St Margarets with St Nicholas) has the lowest car ownership at 48% car-free. A summary of current road casualties for Norfolk (with an emphasis on children) is at Travel Independent, and you can click through for other counties.